Try our Genuine Sapphire Gemstone Satisfaction Guarantee - compare our prices and our superior quality. Click on any sapphire gemstone image below to enlarge it. This natural black star sapphire cabochon gem shows a very well developed six-rayed star when viewed under incandescent bulb light or under direct sunlight. It has a dark brownish-black color (100% natural color - it has not been heated or treated in any way), and it was mined and cabochon-cut in India. The back side was roughly ground and shaped flat with a beveled edge. This cabochon gem of natural black star sapphire shows a well developed six-rayed star when viewed under incandescent bulb light or under direct sunlight. This genuine black star sapphire gem has a dark brownish-black color (100% natural color - it has not been heated or treated in any way), and it was mined and cabochon-cut in India. The back side was roughly ground and shaped flat with a beveled edge. This cabochon gem of natural black star sapphire shows a very well developed six-rayed star when viewed under incandescent bulb light or under direct sunlight. This genuine black star sapphire gem has a dark brownish-black color (100% natural color - it has not been heated or treated in any way), and it was mined and cabochon-cut in India. The back side was roughly ground and shaped flat with a beveled edge. This blue sapphire gem was faceted from a natural blue sapphire crystal that was mined in Sri Lanka (Ceylon). It was carefully heated by the miners, and it has had no other treatments. This blue sapphire gem is eye clean (GIA: Type II Gem, Clarity Grade VVS), and it has medium blue color with violet-blue tones. 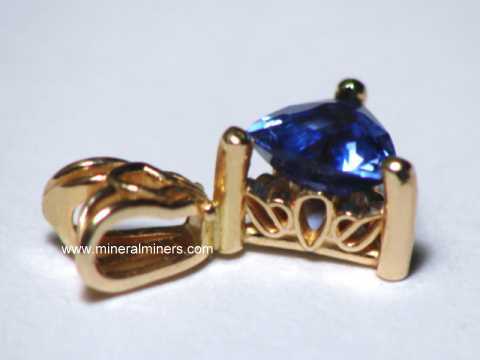 Our mineralminers.com miner's price for this medium blue Ceylon sapphire gem is $375./carat = $465. 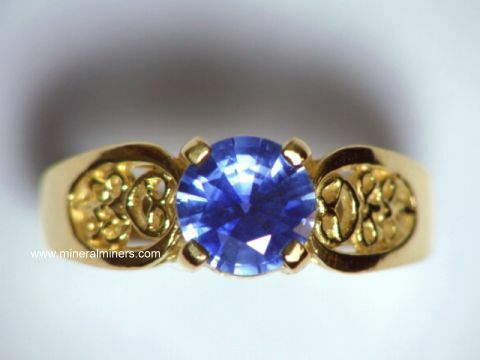 This blue sapphire gem has 100% natural color, and it was mined and faceted in Sri Lanka (Ceylon) in 1984. It has top-grade Sri Lankan velvety violetish blue color of medium to medium-dark tone, with good brilliance. This fine color sapphire is native cut and faces up eye-clean, however it has a very small pit on the pavilion near the girdle that is visible from the back side. Under magnification it has faint natural inclusions which guarantee the gem's natural origin and color. 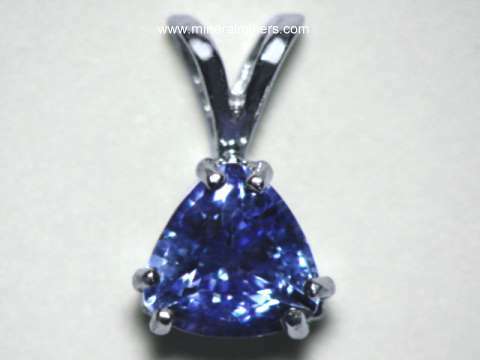 Price of this sapphire is $2830.00. 8.0mm x 5.9mm x 3.8mm deep cushion cut. This gorgeous velvety blue sapphire gem has 100% natural color, and it was mined and faceted in Sri Lanka (Ceylon). It has deep Sri Lankan velvety blue color of medium to medium-dark tone, with good brilliance. This fine color sapphire is very nicely cut and faces up eye-clean. It has faint natural inclusions, visible under magnification, which guarantee the gem's natural origin and color. We have this beautiful natural blue sapphire gemstone priced at $1500/ per carat = $2340. 9.25mm x 7.25mm x 5.8mm deep oval cut. This beautiful medium deep blue Ceylon gem sapphire is very clean, with only very very minor inclusions showing under magnification. It is well proportioned and nicely cut and polished for a native cut gem. High magnification indicates heat only, no other treatment of this beautifull gemstone. Our price on this 3.36 carat gem is $ 3964.00. This Exceptionally rare color changing sapphire gemstone was faceted in an oval cut with good brilliance from a natural sapphire crystal that was said to have been mined in East Africa. It is unheated and untreated! Under incandescent light this rare natural color sapphire gemstone shows a distinct purple color and under day-light it has a distinct color change showing a brownish green color very similar to the phenomena of the "Alexandrite color change". This unique, natural sapphire gem faces up completely eye clean. It contains microscopic inclusions visible only under high magnification. (GIA: Type II Gem, Eye Clean). See also a photo of this natural color change Ceylon sapphire taken under natural day light. Note! The G I. A. Certificate of natural origin and no heat treatment will be included with your purchase of this gemstone. Sapphiore Gemstone Dimensions: 10.62mm x 8.23mm x 5.37mm deep Oval cut. This gorgeous blue sapphire gem has 100% natural color,(no evidense of heat treatment), and it was mined and faceted in Sri Lanka (Ceylon). It has a medium light tone of Sri Lankan slightly grayish violetish blue color, with good brilliance. This fine color sapphire is very nicely cut and faces up nearly eye-clean with one possibly, barely visible veil, and other faint natural inclusions, visible under magnification, which also guarantee the gem's natural origin and color. See another view of this natural color Ceylon blue sapphire. 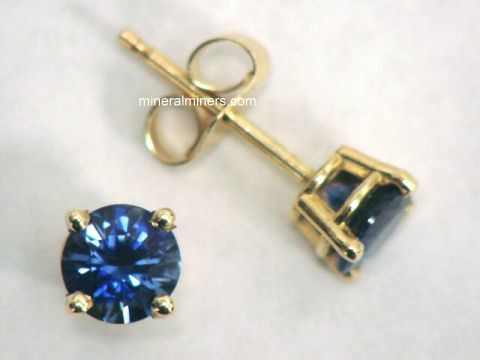 See also a side-view of this natural color Ceylon blue sapphire. See also an angle side-view for this natural color Ceylon blue sapphire. This beautiful natural blue sapphire gemstone is priced at $1450 per carat = $5887.00 (The G I A Sapphire Report will be included.) Also a current retail replacement value appraisal for insurance purposes by an accredited "Master Gemologist Appraiser" of the American Society of Appraisers can be supplied at no extra charge if you wish. Blue Sapphire Gemstone Dimensions: 17.06mm x 12.19mm x 6.72mm deep Oval cut. This gorgeous medium blue sapphire gem has 100% natural color, (no heat treatment), and it was mined and faceted in Sri Lanka (Ceylon). It has a beautiful medium tone of blue color with medium strong saturation 5-6), and good brilliance. This fine color sapphire is very nicely cut and faces up nearly flawless, to the unaided eye. It has one tiny pin point crystal inclusion that can sometimes be seen depending on the lighting and angle of the gemstone. The color in the photo at left is in normal day light conditions. When this "rare" gem is viewed under incandescent light it becomes a medium violet color. See an incandescent light photo of this natural color blue sapphire gemstone. See also a side view of this rare size natural blue sapphire gem. It has some other faint natural inclusions, visible under magnification, (intact silky rutile needles) which also guarantee the gem's natural origin and color. This beautiful natural blue/violet, color change, sapphire gemstone is priced at $5200.00/ per carat x 18.05 = $93,860.00 (The G I A Sapphire Report will be included.) See a photocopy of the GIA Certificate. 10.72mm x 6.30mm x 5.09mm deep, Oval cut. This gorgeous velvety blue sapphire gem has 100% natural color,(no heat treatment), and was mined and faceted in Sri Lanka (Ceylon). It has deep Sri Lankan velvety blue color of medium to medium-dark tone, with good brilliance. These features are reminiscent of fine Kashmir sapphire. This fine color sapphire is nicely cut and faces up nearly eye-clean with a faint non blended color zone and natural inclusions visible under closer inspection. 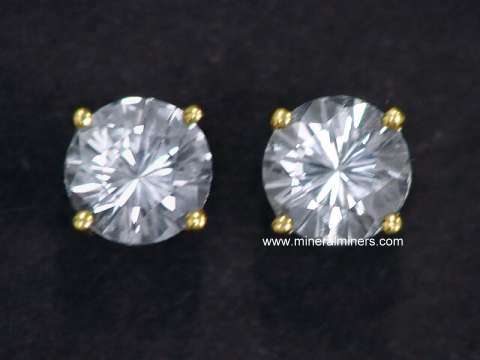 These natural inclusions guarantee the gem's natural origin and natural color. We are offering this beautiful natural blue sapphire gemstone at $1470 per carat = $4689.30 Note! (The G I A Sapphire Report will be included). This faceted marquise shaped sapphire was probably mined in Australia and heat treated to give it a dark blue color, with a secondary green modifier. The gem shows some hexagonal color zoning, authenticating its natural origin. This "rare" trapiche sapphire cross section cab was shaped from a natural sapphire crystal that was mined in Burma (Myanmar). The trapiche phenomenon was first noted by Spanish miners in Columbia S. A. In very rare occurrences a Columbian emerald crystal, when cut in cross section would exhibit a six spoke effect reminded them of the spoke arrangement of the early sugar cane presses used in the production of sugar. The trapiche effect in sapphires is a much more recent discovery. This sapphire collector gem has nice deep, opaque blue color in the pie shaped sections between the six contrasting nearly white spokes. This is a very unique gem of natural occurring sapphire. See also a side angle, close-up view of this natural natural trapiche blue sapphire gem. This "rare" trapiche sapphire cross section cab was shaped from a natural sapphire crystal that was mined in Burma (Myanmar). The trapiche phenomenon was first noted by Spanish miners in Columbia S. A. 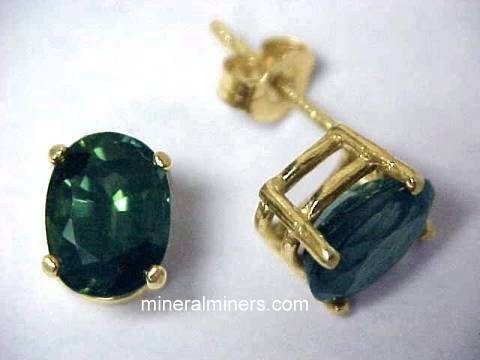 In very rare occurrences a Columbian emerald crystal, when cut in cross section would exhibit a six spoke effect reminded them of the spoke arrangement of the early sugar cane presses used in the production of sugar. The trapiche effect in sapphires is a much more recent discovery. This sapphire collector gem has nice deep, opaque blue color in the pie shaped sections between the six contrasting nearly white spokes. This is a very unique gem of natural occurring sapphire. See also a side angle, close-up view of this natural blue sapphire gemstone. This natural purple sapphire gem is very well faceted in an oval cut with good brilliance from a natural color purple sapphire crystal that was mined in Ceylon (Sri Lanka). This purple sapphire gem is unheated and untreated. 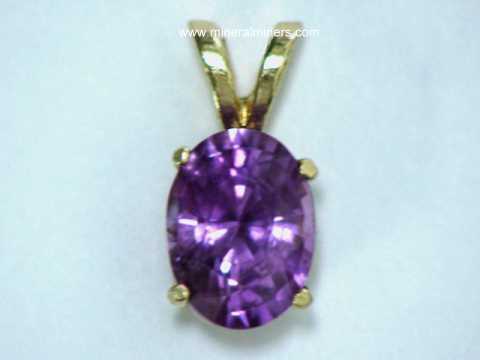 This genuine purple sapphire gemstone has medium-dark pinkish purple natural color under daylight (100% natural color). The color varies slightly depending on the type of light that the gem is viewed under from pinkish-purple under incandescent light as shown at left to mostly purple under reflected sunlight. See a reflected daylight view of this natural color purple sapphire gem. This natural sapphire gem is completely clean to the eye, even under under close inspection (GIA: Type II Gem, VVS). 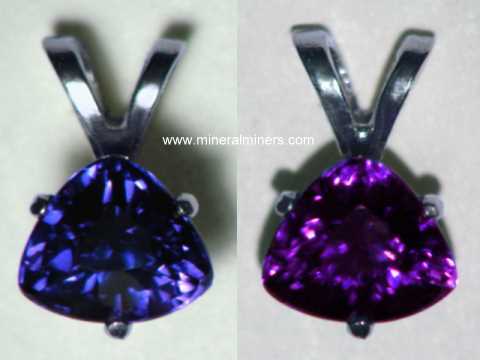 Our mineralminers.com miner's price price for this natural color purple sapphire gemstone is $645./carat x 1.20 carats = $774. This rare collector gem of natural color sapphire is well cut with good brilliance from a natural color sapphire crystal showing strong natural color zoning. In addition to the natural color zoning present in this rare collector sapphire, the blue portion changes color from pure blue in sunlight to violet under incandescent light! So, this gem is correctly described as a "color change multi color sapphire"! This gem was expertly faceted so that distinct areas of the gem have natural blue color and natural purple-pink color! There is a near-colorless area (very pale yellow) at one corner. Facing up, the blue and purple-pink colors grade into each other beautifully. See an upside down view showing the distinct color zones of this multi color sapphire gemstone. This unique multi-color sapphire gem is unheated and untreated. See another view of this natural color blue and pink sapphire gemstone. This natural sapphire gem faces up clean with a tiny crystal inclusion located at the edge of the table (GIA: Type II Gem, Clarity Grade: VS). This crystal inclusion is right at the surface and could be fully removed by recutting the gem with very little weight loss (less than 1/3 carat). There are some invisible growth planes which reflect light at certain angles. 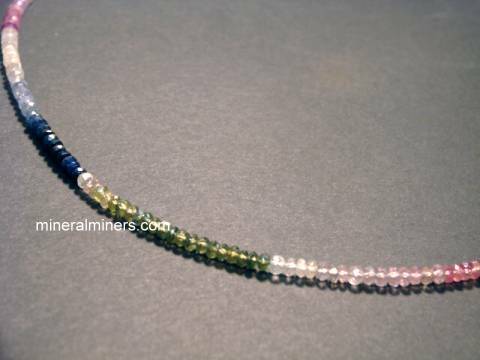 See also another view of this natural color blue and pink sapphire gemstone. The GIA Certificate will accompany this gem when sold at no extra cost. This GIA Certified natural color sapphire gemstone is very well faceted in an oval cut with very good brilliance from a natural color pink sapphire crystal that was mined in Ceylon (Sri Lanka). See another view of this beautiful GIA Certified natural color pink sapphire gemstone. 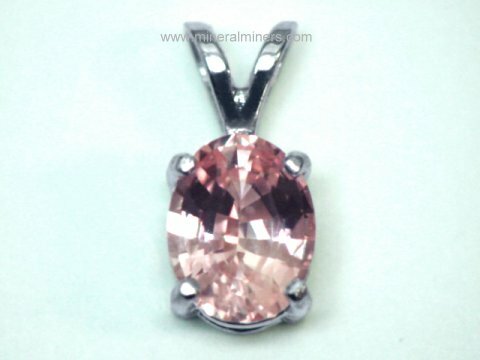 This Ceylon sapphire gem is unheated and untreated with fine light to medium pink 100% natural color. This natural sapphire gem faces up completely clean to the eye, ands it shows faint natural inclusions under very close inspection with bright illumination (GIA: Type II Gem, VVS). 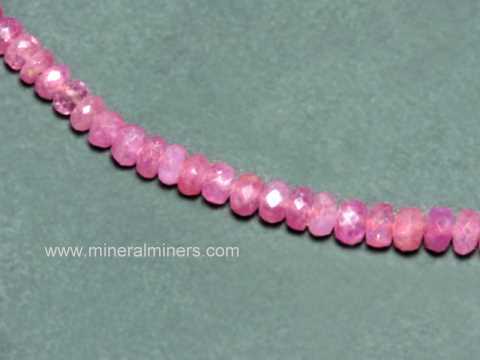 Our mineralminers.com Special Offer price price for this natural color pink sapphire gemstone is $900./carat x 1.59 carats = $1431. The GIA Certificate will accompany the gem when sold at no extra charge! This unique natural sapphire gemstone is very well faceted in a cushion cut with good brilliance from a natural bi-color sapphire crystal with purple and gold natural color zoning. This gem was faceted so that one end of the gem has the natural color purple color zone and the rest of the gem has the natural color golden color zone! The colors mix and blend when the gem faces up yielding mostly light purple color with some golden zones as shown at left. 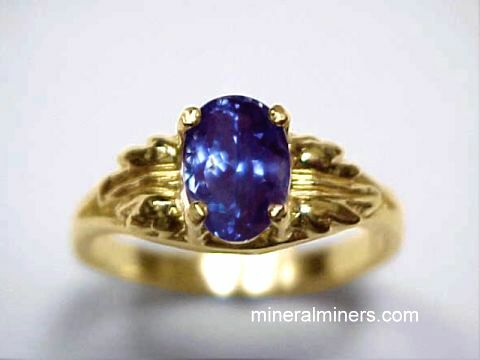 See a view showing this gold and purple sapphire gemstone turned slightly. See a different view showing this gold and purple sapphire gemstone turned slightly the other way. See also an upside down view showing the distinct purple and gold color zones of this bi-color sapphire gemstone. This unique gold and purple sapphire gem is unheated and untreated. See also another view of this gold and purple bi-color sapphire gemstone. This natural sapphire gem is completely clean even under under close inspection (GIA: Type II Gem, Clarity Grade: VVS). This unique collector gem of natural purple pink sapphire gem is very well faceted in an oval cut with good brilliance from a natural color sapphire crystal with strong purple and pink color zoning. This gem was faceted so that distinct areas of the gem have portions of the natural color pink color zone and also some areas have the natural color purple color zone! Facing up, the colors mix and blend beautifully. See an upside down view showing the distinct color zones of this purple and pink sapphire gemstone. This unique purple and pink sapphire gem is unheated and untreated. This natural sapphire gem faces up eye clean, with very faint natural inclusions visible under under close inspection (GIA: Type II Gem, Clarity Grade: VS). This natural purple-pink sapphire gem is very well faceted in an oval cut with good brilliance from a natural color sapphire crystal that was mined in Ceylon (Sri Lanka). This purple-pink sapphire gem is unheated and untreated. 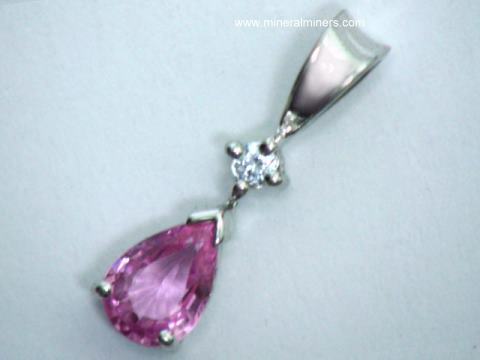 This genuine sapphire gemstone has deep purple-pink natural color (100% natural color). This natural sapphire gem faces up eye clean, with very faint natural inclusions visible under under close inspection (GIA: Type II Gem, Clarity Grade: VS). This GIA Certified natural color sapphire gem is very well faceted in an oval cut with very good brilliance from a natural color pink sapphire crystal that was mined in Ceylon (Sri Lanka). This Ceylon sapphire gem is unheated and untreated with fine medium purple-pink 100% natural color. This natural sapphire gem faces up clean to the eye, ands it shows faint natural inclusions under close inspection (GIA: Type II Gem, VS). 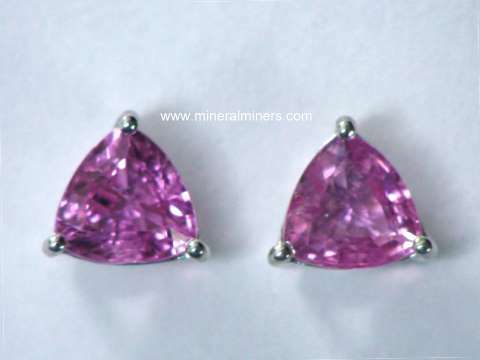 Our mineralminers.com miner's price price for this natural color purple-pink sapphire gemstone is $900./carat x 1.95 carats = $1755. The GIA Certificate will accompany the gem when sold at no extra charge. This unique natural purplish pink sapphire gem is well faceted in an oval cut with good brilliance from a natural color sapphire crystal with light to medium purplish pink (lavender) color. This unique purplish pink sapphire gem is unheated and untreated. This natural sapphire gem faces up eye clean, with very faint natural inclusions visible under under close inspection (GIA: Type II Gem, Clarity Grade: eye-clean). This unique natural medium tone bright purplish pink sapphire gem is very well faceted in an oval cut with good brilliance from a natural color sapphire crystal with medium purplish pink (bubble gum pink) color. This unique purplish pink sapphire gem is unheated and untreated. This natural sapphire gem faces up eye clean, with very faint unique orange colored natural inclusions visible under under close inspection with magnification (GIA: Type II Gem, Clarity Grade: eye-clean). This bright natural pink sapphire gem is well faceted in an oval cut with good brilliance from a natural color sapphire crystal with medium pink color. This nice pink sapphire gem appears to be low heat treated. This otherwise natural sapphire gem faces up eye clean, with very faint natural inclusions visible under under close inspection (GIA: Type II Gem, Clarity Grade: L-I). This small faceted ruby gem is 4.6mm in diameter. It has faintly visible natural inclusions (GIA: Type II, VS/SI), and it has deep red color under incandescent light as shown in the photo at left. This genuine ruby gemstone was faceted from a natural ruby crystal that was mined in Mozambique. See another view of this beautiful Mozambique ruby gemstone. This ruby is unheated, and it has had no treatments. This genuine ruby gemstone has natural inclusions which absolutely guarantee its natural origin and natural unheated color. See also a side view of this genuine Mozambique ruby gemstone. Our mineralminers.com special offer price for this natural ruby gemstone is $1100./carat = $627. This oval shape ruby gemstone weighs 2.05 carats. It has no eye visible inclusions (GIA: Type II, Flawless) It has a medium deep red color with a purplish modifier.(Magenta). The photo at the left was taken under a combination of florescent and incandescent lights. This genuine ruby gemstone was native faceted from a natural ruby crystal that was mined in Ceylon (Sri Lanka). Under magnification it shows indication of traditional heat, with no other treatment. Our mineralminers.com Special Offer Price for this otherwise flawless genuine ruby gemstone is reduced in price due to its "Native" cutting to $2100.00/carat = $4305.00. Note: The GIA certificate will be included with the purchase of this gem. This oval shape ruby gemstone weighs 1.97 carats. It has no eye visible inclusions in the face up position (GIA: Type II, Eye-clean) It has a deep red color with a purple modifier.(Magenta). The photo at the left was taken under a combination of florescent and incandescent lights. This genuine ruby gemstone was native faceted from a natural ruby crystal that was mined in Ceylon (Sri Lanka). Under very close inspection it shows a very small pit at the girdle. Our mineralminers.com Special Offer Price for this near flawless rare genuine non heated ruby gemstone is $2800.00/carat = $5516.00 See also another top view of this genuine ruby gemstone. Note: The GIA certificate stating "purple-red� and "no heat" will be included with the purchase of this gem. This oval shape ruby gemstone weighs 1.42 carats. The clarity is nearly clean to the unaided eye (GIA: Type II, VVS) It has a medium red color with a purple modifier. (Magenta).The photo at the left was taken under a combination of florescent and incandescent lights. This genuine ruby gemstone was native faceted from a natural ruby crystal that was mined in Ceylon (Sri Lanka). Under magnification it shows indication of heat. Our mineralminers.com price for this near flawless genuine ruby gemstone is $2130.00. Note: The G. I. A. cert. will be included with the purchase of this gem. This nearly square cushion cut shape ruby gemstone weighs 1.60 carats. See a side view of this genuine ruby gemstone. It has no eye visible inclusions (completely eye-clean) (GIA: Type II, extra fine) It has a medium deep red color with a slight orangy modifier. The photo at the left was taken under a combination of florescent and incandescent lights. See also another top view of this genuine ruby gemstone. This genuine ruby gemstone was faceted from a natural ruby crystal that was mined in East Africa. Under high magnification it shows minute crystal inclusions of which there is some indication of possible low heat treatment, (No other treatment to this gem). Our mineralminers.com Special Offer Price for this genuine ruby gemstone is $1800.00 per carat, total price for this gem is $2980.00. See a copy of the certificate. Note: The GIA certificate will be included with the purchase. This cushion cut shape ruby gemstone weighs 2.13 carats. See a side view of this genuine ruby gemstone. It has no eye visible inclusions (completely eye-clean) (GIA: Type II, extra fine) It has a deep red color with a slight purplish modifier. The photo at the left was taken under a combination of florescent and incandescent lights. See also another top view of this genuine ruby gemstone. This genuine ruby gemstone was faceted from a natural ruby crystal that was mined in Madagascar. Under high magnification it shows minute crystal inclusions, most of which are completely intact along with crossing rutile needles of which there is some indication of low heat treatment, (No other treatment to this gem). Under very close examination a small blemish or natural may be detected on the girdle edge on one side. Our mineralminers.com Special Offer Price for this exceptionally fine genuine ruby gemstone is $2745.00 per carat, total price for this gem is $5846.85. This oval shape ruby gemstone weighs 1.17 carats. It has no eye visible inclusions (GIA: Type II, Flawless) It has a medium deep red color with a slight purplish modifier. The photo at the left was taken under a combination of florescent and incandescent lights. This genuine ruby gemstone was native faceted from a natural ruby crystal that was mined in Ceylon (Sri Lanka). Under magnification it shows only minor inclusions. Our mineralminers.com Special Offer Price for this otherwise flawless genuine ruby gemstone is reduced in price due to its "Native" cutting to $2200.00/carat = $2574.00. This oval shape ruby gemstone weighs 1.10 carats. It is exceptionally clean, has no eye visible inclusions (GIA: Type II, Eye-clean) It has a bright medium red color with a very slight purplish modifier. This genuine ruby gemstone was native faceted very well from a natural ruby crystal that was mined in Ceylon (Sri Lanka). Under magnification it shows only minor inclusions. Our mineralminers.com Special Offer Price for this non treated genuine ruby gemstone is $2400.00. This oval shape ruby gemstone weighs 1.00 carat. 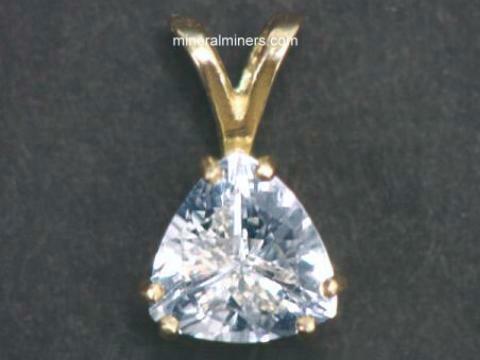 It is exceptionally clean, and has no eye visible inclusions (GIA: Type II, eye-clean). It has a bright medium deep red color with a purplish modifier. See a side view of this genuine ruby gemstone. This genuine ruby gemstone was native faceted very well from a natural ruby crystal that was mined in Ceylon (Sri Lanka). Under high magnification it shows only minor pin point inclusions. 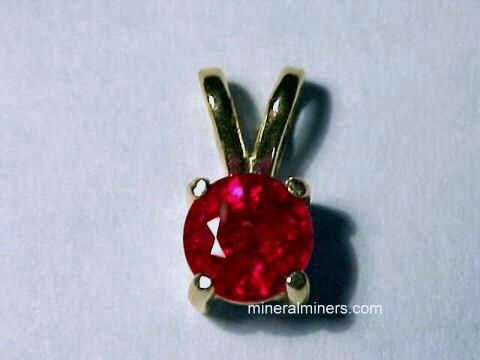 Our mineralminers.com Special Offer Price for this near flawless genuine, no heat ruby gemstone is $2950.00. This oval shape ruby gemstone weighs 1.11 carats. It is exceptionally clean, has no eye visible inclusions (GIA: Type II, eye-clean) It has a bright medium red color with a very slight purplish modifier. See a side view of this genuine ruby gemstone. This genuine ruby gemstone was native faceted (slightly deep) from a natural ruby crystal that was mined in Ceylon (Sri Lanka). Under high magnification it shows only minor pin point inclusions (nearly loupe clean). Our mineralminers.com Special Offer Price for this near flawless genuine no heat ruby gemstone is $3050.00. This custom cut modified oval (stretched decagon shape) ruby gemstone weighs 1.25 carats. It is nearly eye clean, has slight zoning and minor inclusions (GIA: Type II, LT (lightly included). It has a bright medium red color with a very slight purplish modifier. See a side view of this genuine ruby gemstone. This genuine ruby gemstone was custom faceted (modified decagon) from a natural ruby crystal that was mined in Ceylon (Sri Lanka). Our mineralminers.com Special Offer Price for this natural non treated genuine ruby gemstone is $2880.00. This oval cut shape ruby gemstone weighs 1.68 carats. It has no eye visible inclusions (completely eye-clean) (GIA: Type II, eye-clean). Under magnification inclusions are noted including some needle type inclusions. It has a deep red color with no modifier. The photo at the left was taken under a combination of florescent and incandescent lights. See also another top view of this genuine ruby gemstone. See also side-view of this genuine ruby gemstone. This genuine ruby gemstone was faceted from a natural ruby crystal that was mined in Mozambique Africa. Under magnification there is some indication of possible low heat treatment, (No other treatment to this gem). Our mineralminers.com Special Offer Price for this fine genuine ruby gemstone is $2650.00 per carat @ 1.68 carats, total price for this gem is $4452.00. This oval cut shape ruby gemstone weighs 1.71 carats. See a side view of this genuine ruby gemstone. It has no eye visible inclusions (completely eye-clean) (GIA: Type II, eye-clean) Inclusions are noted under magnification and also a small natural on the girdle. It has a deep red color with a slight purplish modifier. The photo at the left was taken under a combination of florescent and incandescent lights. Under very close examination the small natural may be detected with the unaided eye. This genuine ruby gemstone was faceted from a natural ruby crystal that was mined in Mozambique Africa. Under magnification there is some indication of possible low heat treatment, (No other treatment to this gem). Our mineralminers.com Special Offer Price for this fine genuine ruby gemstone is $2650.00 per carat, total price for this gem is $4531.50. This natural star sapphire gem was mined, cut, and polished in Sri Lanka. This colorless gem has light silvery gray color (100% natural color; unheated and untreated). It is semi-transparent with a well developed natural 6-ray star. This natural star sapphire gem has a nice low profile with less weight than usual for its size. The photo at left was taken under direct sunlight. See also a photo of this natural star sapphire gem taken under incandescent light. This natural star sapphire gem was mined in Burma and cut & polished in Thailand. This gem has light grayish-blue color (100% natural color; unheated and untreated). It is semi-transparent with a well developed natural 6-ray star as shown in the photo at left which was taken under direct sunlight. This gem has a tall profile. See a side view photo of this natural star sapphire gem. This fine quality natural star sapphire gem was mined in Burma in 2002. This rare gem has light to medium grayish blue purple color as shown (100% natural color; this gem is unheated and untreated) under incandescent light. It is translucent to semi-transparent with a very consistent body with faint natural inclusions visible under close inspection, and it has a well developed natural 6-ray star. See a side view of this natural Burmese star sapphire gemstone. On the bottom of this gem is a natural surface cleavage which does not enter the gem and does show from the side or from the top. See a bottom view of this untreated star sapphire gemstone. 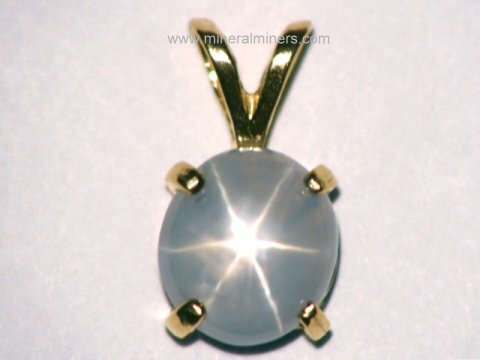 This natural star sapphire gem has a very fine star when viewed under sunlight. The photo shown at left was taken under incandescent light. Our mineralminers.com special offer price for this rare quality Burmese natural star sapphire gemstone is $360./carat x 7.65 carats = $2754. This natural star sapphire gem was mined, cut, and polished in Sri Lanka. This colorless gem has light silvery gray color (100% natural color; it is unheated and untreated). It is semi-transparent with a well developed natural 6-ray star. This natural star sapphire gem has a very nice low profile and as a result only has about half the usual weight of a star sapphire cabochon gem with its length and width. This natural star sapphire gem has light gray-blue natural color - this genuine star sapphire gem is both unheated and untreated. It is semi-transparent with a consistent background and a well developed & well oriented natural 6-ray star as shown at left under direct sunlight. This natural star sapphire gem has a good finish and a very nice low profile, and as a result it has less than half the usual weight of a star sapphire cabochon gem with its length and width! See also an additional view under diect sunlight of this star sapphire gemstone rotated 180 degrees. See also a side-view photo of this natural star sapphire gemstone. This natural color yellow sapphire gemstone was mined in Sri Lanka (Ceylon). It has light yellow natural color (it is completely natural - this genuine Ceylon sapphire gemstone is unheated and untreated), and it was well faceted in this oval cut. This natural yellow sapphire gemstone faces up eye clean with faint natural inclusions visible under close inspection with bright illumination (GIA: Type II, Clarity Grade VS). Our mineralminers.com special offer price for this natural color unheated yellow sapphire gemstone is $320./carat x 1.45 carats = $464. This GIA Certified natural color yellow sapphire gem was mined and faceted in Sri Lanka (Ceylon). See also a side view photo of this large natural color yellow sapphire gemstone. It has medium yellow natural color (this genuine Ceylon sapphire gem is completely natural - it is both unheated and untreated). We have a GIA certificate for this 6.80 carat yellow sapphire gem guaranteeing it as natural color, unheated and untreated! 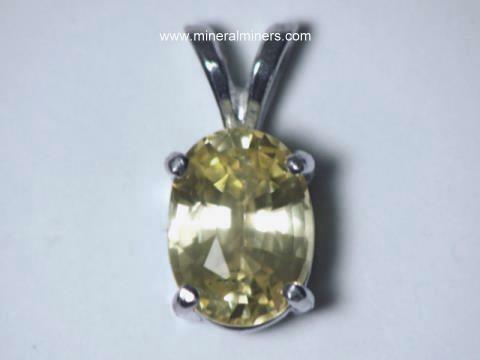 This beautiful yellow sapphire gem is a perfect size and quality for use in vedic astrology. See also another view of this untreated yellow sapphire gemstone. It was faceted in a native cushion cut by a local craftsman in Sri Lanka with good overall proportions and some minor surface imperfections on the backside, which are not visible when the gem is facing up. 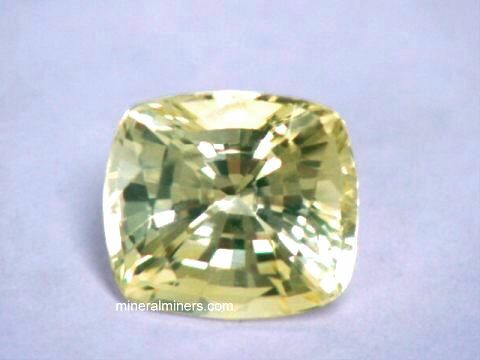 See one more top view of this unheated natural color yellow sapphire gem. See also an end view of this natural yellow sapphire gem, and an opposite end-view of this untreated Ceylon yellow sapphire gemstone. This natural yellow sapphire gem could be re-cut to optimize its proportions and slightly improve brilliance, and at the same time remove the slight back-side imperfections, however re-cutting would only slightly improve the appearance of this already beautiful and completely natural 6.80 carat yellow sapphire gem. It does face up clean as it is, with some very faintly eye visible natural inclusions when examined closely; a very faint fingerprint type inclusion at one side and some tiny crystal inclusions (GIA: Type II, Clarity Grade: SI/VS). These faint natural inclusions absolutely guarantee the gem's completely natural origin and natural color! Our mineralminers.com special offer price for this natural color medium yellow sapphire gemstone is $550./carat x 6.80 carats = $3740. This natural color yellow sapphire gem was mined in Sri Lanka (Ceylon). Its has light natural yellow color (this genuine Ceylon sapphire gem is completely natural - it is both unheated and untreated), and it was very well cut with excellent brilliance. This natural color sapphire gem has some faintly eye visible natural inclusions - a very faint fingerprint type inclusion at one side and some tiny crystal inclusions which are faintly visible to the eye when examined closely (GIA: Type II, Clarity Grade: SI). These faint natural inclusions absolutely guarantee the gem's completely natural origin and natural color. Our mineralminers.com special offer price for this natural color light yellow sapphire gemstone is $490./carat x 3.80 carats = $1862. These beautiful sapphire gems have lovely intense golden color. They were mined and faceted in Sri Lanka (Ceylon), and they face up eye clean. The Sri Lankan miners carefully heated these golden sapphire gems to deepen the original golden-yellow color. Other than this careful heating by the miners, these sapphire gems are completely natural and have not been treated in any other way. 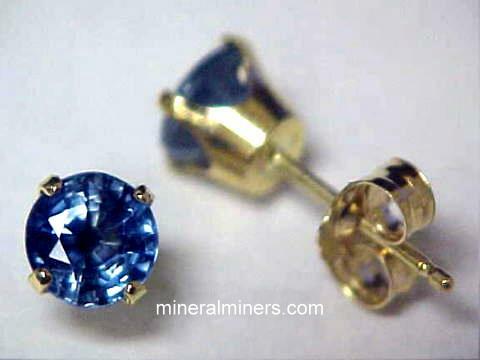 These golden sapphire gems make nice single stones, and they also are very well matched for use as pairs for earrings. This beautiful, large, natural yellow sapphire gem was mined in Sri Lanka (Ceylon). Its color is a rich natural yellow of good saturation. It was very well cut with excellent brilliance. This fine quality yellow sapphire faces up completely clean to the un-aided eye (G I A: Type II gemstone, Eye Clean Clarity). Under high magnification it shows very faint natural silk and other minute inclusions that guarantee its completely natural origin and color (unheated and untreated). Also there is a small natural on the girdle edge. The color of this gem is reminiscent of the color of a canary diamond. See a side view photo of this natural color yellow sapphire gemstone. The G I A Sapphire Report will be included with the purchase of this gem. This beautiful, large, natural yellow sapphire gem was mined in Sri Lanka (Ceylon). Its color is a light to medium natural yellow with no modifiers. It was very well re-cut with excellent brilliance. This fine quality yellow sapphire faces up nearly eye clean to the un-aided eye (G I A: Type II gemstone, S I Clarity). Under very close inspection, one tiny included crystal may possibly be seen by a trained eye. With high magnification it shows very faint natural silk and other minute inclusions that guarantee its completely natural origin and color (unheated and untreated). The color of this gem is reminiscent of the color of a fancy yellow diamond. See a side view photo of this natural color yellow sapphire gemstone. The G I A Sapphire Report will be included with the purchase of this gem. This beautiful, over five carats, natural yellow sapphire gem was mined in Sri Lanka (Ceylon). Its color is a medium natural yellow with no modifiers. It was very well cut with excellent brilliance. This fine quality yellow sapphire faces up nearly eye clean to the un-aided eye (G I A: Type II gemstone, S I Clarity). Under very close inspection, a veil with some silk may possibly be seen by a trained eye. With high magnification it shows other very faint natural silk and other minute inclusions that guarantee its completely natural origin and color (unheated and untreated). The color of this gem is reminiscent of the color of a fancy yellow diamond. See an end view photo of this natural color yellow sapphire gemstone. The G I A Sapphire Report will be included with the purchase of this gem. Although a beautiful orange color, this natural sapphire is not a padparadcha. This 1.31 carat natural fancy orange sapphire gemstone faces up eye clean (GIA: Type II, VVS). 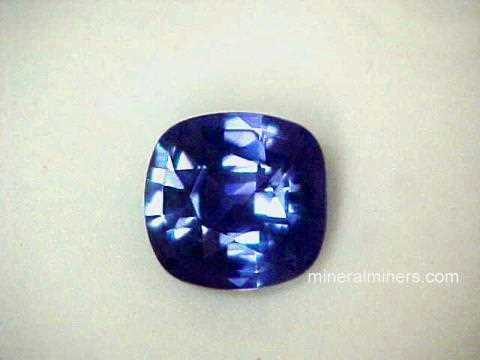 This natural color sapphire was faceted in Ceylon (Sri Lanka), and it was very well cut with good brilliance. Under high magnification it shows numerous minute included crystals. (Very Interesting). This gem is 100% natural - it has not been heated or treated in any way. Natural padparadscha is one of the rarest and most-prized fancy color corundums in the world. This orangy-pink, 2.06 carat natural padparadscha sapphire gemstone is also of exceptionally rare clean quality and it faces up eye clean with a natural inclusion visible under close inspection through the pavilian (GIA: Type II gem, (VS-SI1). This genuine padparadscha gem was mined and well cut in Ceylon (Sri Lanka), with good brilliance. See also a side view of this natural padparadscha sapphire gemstone. This genuine padparadscha gem is 100% natural, it has not been heated or treated in any way. The G.R.S. (Gem Research Swisslab) Certificate of "Country of origin and no indication of thermal treatment" will be included with the purchase of this beautiful gem. Our mineralminers.com special offer price for this natural color orangy-pink sapphire gem is $3250.00/carat x 2.06 carats = $6695.00. A Classic padparadcha in Sri Lanka (Ceylon) is a natural sapphire that is pink-orange to orange-pink in color in light to medium tones, reminiscent of the native lotus flower. This light to medium toned, orangy-pink 0.91 carat natural padparadscha sapphire gemstone is nearly loupe clean with no eye visible inclusion (GIA: Type II, VVS). This genuine padparadscha gem was mined and native cut in Ceylon (Sri Lanka). This genuine padparadscha gem is 100% natural - it has not been heated or treated in any way. Natural padparadscha is one of the rarest and most-prized fancy color corundums in the world. This orangy-pink, 1.79 carat natural padparadscha sapphire gemstone is also of exceptionally rare clean quality with no eye visible inclusions and just a few tiny natural inclusions visible under very close inspection with bright illumination (GIA: Type II, VVS). See also a side view of this natural padparadscha sapphire gemstone. This genuine padparadscha gem was mined and native cut in Ceylon (Sri Lanka), and it was very well cut with good brilliance. It has no windowing, (see through effect). This genuine padparadscha gem is 100% natural - it has not been heated or treated in any way. The G.I.A. Certificate will be included with the purchase of this beautiful gem. Our mineralminers.com special offer price for this natural color orangy-pink sapphire gem is $2500.00/carat x 1.79 carats = $4475.00. Natural padparadscha is one of the rarest and most-prized fancy color corundums in the world. This orangy-pink, 1.46 carat padparadscha sapphire gemstone is also of rare quality with a few faint barely eye visible inclusion (GIA: Type II, SI1). This genuine padparadscha gem was mined and cut in Ceylon (Sri Lanka), and it was well cut with good brilliance (3-4 tone and 5 saturation). See also a side view of this natural padparadscha sapphire gemstone. This genuine padparadscha gem is of natural origin however it shows indications of possible heat treatment. The G. I. A. Lab Certificate will be included with the purchase of this natural padparadscha gem. A Classic padparadcha in Sri Lanka (Ceylon) is a natural sapphire that is pink-orange to orange-pink in color in light to medium tones, reminiscent of the native lotus flower. This medium toned, pink-orange 0.66 carat natural padparadscha sapphire gemstone is loupe clean with no eye visible inclusion (GIA: Type II, Flawless). This padparadscha sapphire gem was mined and native cut in Ceylon (Sri Lanka). This genuine padparadscha gem is 100% natural - it has not been heated or treated in any way. The G.I.A. Certificate will be included with the purchase of this gem. Note! The G.I.A. Cert. states the color as "reddish-orange" rather than the Sri Lankans' version of pink-orange. Our Sapphire Gemstones are all natural sapphires! These genuine sapphire gemstones are mined at locations around the world including Ceylon (Sri Lanka), India, Africa, Madagascar, Thailand and Burma. Be sure to see our unheated and untreated yellow sapphire gemstones which are very popular for jyotish and for use in vedic astrology. Sapphire is the varietal name of the mineral known as corundum. See our sapphire information page for additional info. See also our natural green sapphire jewelry, our natural blue sapphire jewelry, and our genuine sapphire jewelry designs in all of the naturally occuring sapphire colors. Red sapphire is known as ruby. We also have pages displaying genuine ruby necklaces and ruby earrings. 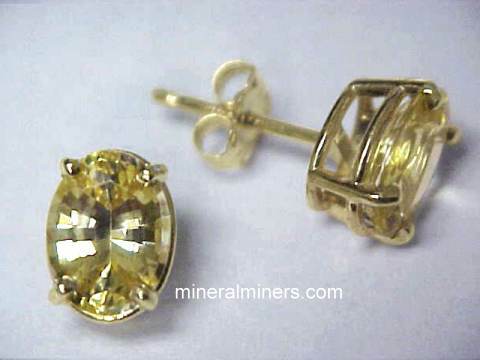 We have genuine yellow sapphire jewelry designs including yellow sapphire earrings available, and also handcrafted blue sapphire jewelry designs in a variety of different styles and sizes. We offer a very large variety of natural gemstone jewelry in rings, necklaces, pendants, bracelets and earrings. See the links below for a selection of superior quality genuine sapphire jewelry in each of the natural sapphire varieties, set in solid 14k gold sapphire rings, pendants, earrings and necklaces. Be sure to contact us with any questions you may have about natural sapphire gemstones. sapphire is the gem variety of the mineral known as corundum. When natural corundum is red, it is known as ruby - be sure to see our genuine ruby earrings! Take a look at our sapphire information page for more info. Our sapphire jewelry is set with natural sapphire gemstones that were mined in Ceylon, Thailand, Africa, Madagascar, India and Australia. 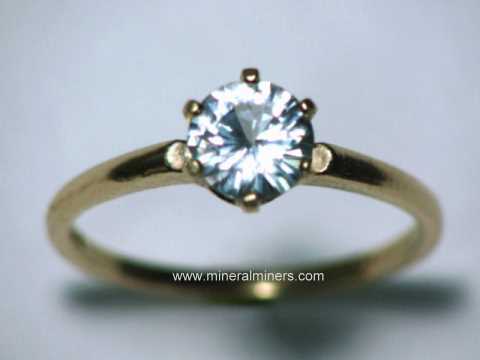 Here at mineralminers.com, we do not have any lab-created sapphires! We specialize in genuine sapphire jewelry. Our sapphire jewelry designs are all set in solid 14k gold. We do have additional inventory of genuine sapphire jewelry. Sapphire jewelry is the traditional birthstone jewelry gift for the month of September. For more information about natural sapphire and its history, physical properties, chemistry, occurance, and metaphysical uses be sure to see our corundum information page. 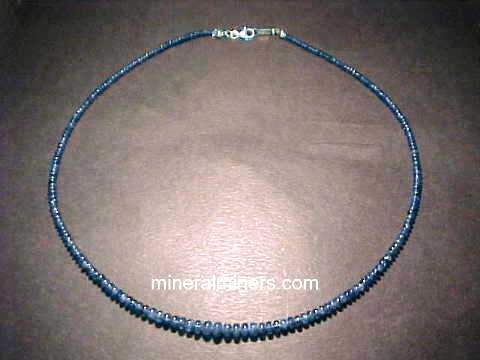 See also our page displaying genuine Sapphire Jewelry. We have many other kinds of natural gemstone jewelry in stock. Would you like us to inform you when we add on this page more natural color sapphire gemstones that are unheated and untreated? We have an extensive inventory of natural sapphire gemstones in stock, so be sure to let us know if you have any natural sapphire gemstone requests. Please contact our webmaster or our 'site' geologist with any questions or comments.